I’m back today with another Spanish brand that you need to know about – Miriam Quevedo. I’ll be honest, I had never heard of them until I was offered the opportunity to review them a few weeks ago. Luxury haircare products always intrigue me because well, is there really a difference between normal shampoo and luxury shampoo? When they arrived, I was quite impressed with the packaging. The bottles are tall and white with silver writing. Love that the branding (Glacier White) ties in with the packaging and the bottles aren’t shiny slippery plastic. They feel slightly rubbery so I know I won’t be dropping all that expensive goodness in the shower. The silver cap does have a hole in the top covered by a rubber bit and it tells you which way to open and close it but I couldn’t figure out whether the rubber hole opened up or not? In the end I jsut unscrewed the entire silver cap. As if I wasn’t excited enough already. it turns out that the Glacial White Caviar products are free from sulphates, parabens, phosphates and parafins. The chemical and cruelty free dream! On closer inspection, these bottles in particular are ideal for hair that has been treated with Keratin (that would be me) and coloured hair (me again!). None of that vague instructions and guess work whether it is suitable for your hair. I did have a look on their website too and and was also pleased to see that it’s also recommended for dehydrated, “abused or stressed” and damaged hair. I’m not quite sure what abused hair is but mine was in serious need of some sort of lift. 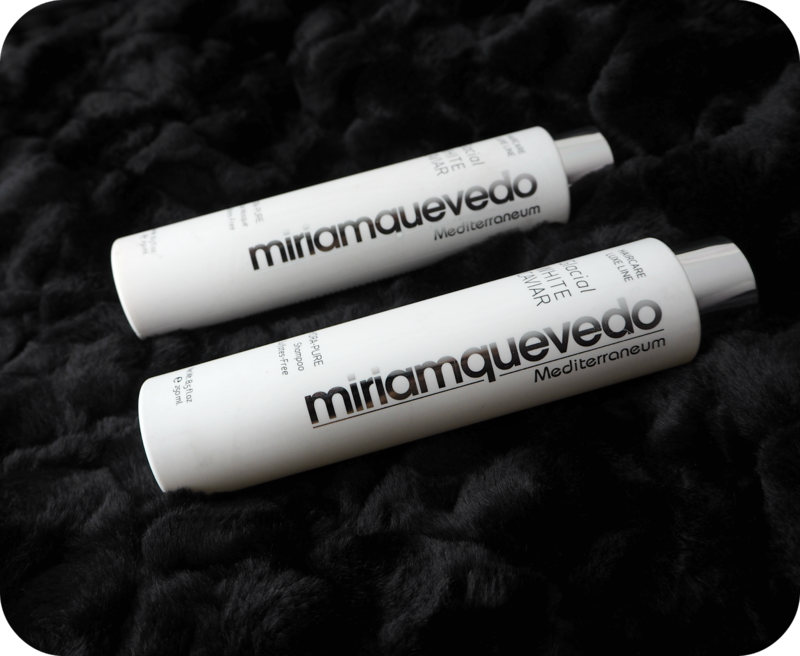 My hair before using Miriam Quevedo White Glacial White Caviar Shampoo was both lank and dry. If you follow me on social media (@damzlinthisdres) you’ll probably know that I recently dyed my hair pink and purple. Without blowing my own trumpet too much, it looks flipping fantastic but I must admit I was worried that my hair was starting to look dry and so the colour looked a little flat. I was hoping that perhaps Miriam Quevedo could work some magic on my locks. So let’s get to the good stuff. The actual shampoo is clear, with a consistency that isn’t too thick. Due to the fact that it has no sulphates and other damaging rubbish in it, I thought it would barely lather but I was mistaken! Once you add a little bit of water, it lathers like a dream. I was also pleased that it actually smelt quite nice – very fruity. The instructions advise that you leave it in wet hair for 2-5 minutes before washing off so I did just that. 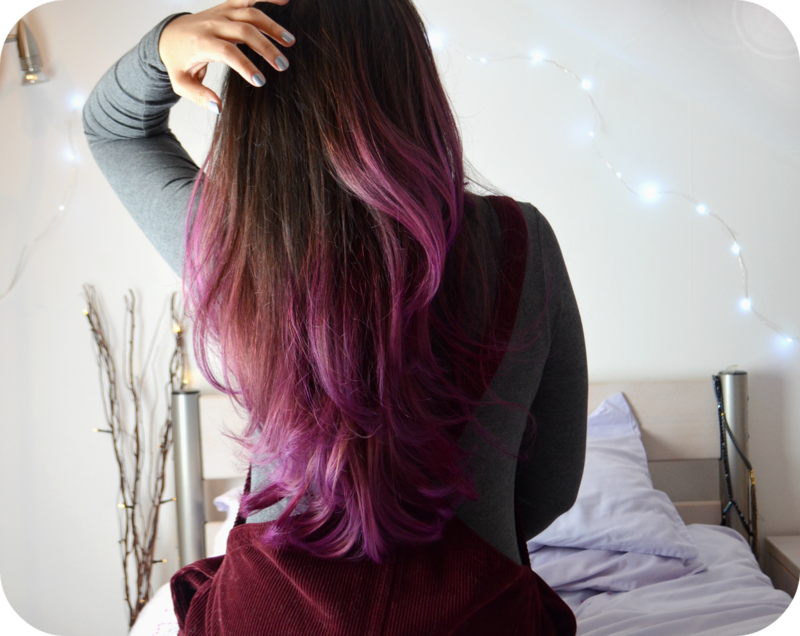 It washed out easily without any problems. One thing I should have mentioned earlier is that my hair is very very frizzy. If I leave my hair to dry naturally, I just end up with a dry frizzy afro. Why am I telling you this? well literally after just the first use of the shampoo, my hair dried frizz free. It was still very wavy but the weird flyaway bits that I always have just weren’t that prominent any more. I continued to use the shampoo for a whole week before I used the hair rescue mask. I’m the kind of person who avoids using conditioner where possible. I always worry that it will make my hair feel super greasy or weigh it down. So the first time I used the rescue mask I used it sparingly and reluctantly. The mask is a thick white conditioner that has a very strong, almost herbal smell which I wasn’t a huge fan really. I did like that it was really easy to spread it across my hair and as per the instructions, I left it in for 5 minutes. Without sounding too dramatic, that was the day I became a conditioner convert. My hair felt silkier and smoother (how much am I sounding like a tresemme ad ha) and I couldn’t stop touching it. It must have made quite a noticeable difference because both my sisters commented on how much healthier my hair was looking. It’s been almost a month now and I still love the shampoo. The smell of the rescue mask is still a little bit strong for me personally but when I do use it, my hair looks so much better. Priced at £32.25 it is definitely premium hair care but in all fairness, my coloured hair has never looked better. The Glacial White Caviar Shampoo and Hydra-Pure Rescue Mask are both currently available at Spa Illuminata Mayfair, Danesfield House Hotel & Spa Marlow and on-line at Mitonia’s website here.